Ajay is an experienced professional based in Bangalore, India. You can easily find him by googling the handle digiajay. His work is focused on producing quality software for test systems and making a significant impact on performance. He would be happy to apply the experience and skills obtained in his career in order to manage projects through creative problem solving and innovative thinking. He has a strong eye for detail and can thrive independently as well as in a team environment. However, irrespective of all these present skills, there is always a desire in him to do something new and openness to look at new things. Letting Go Off the constrained mind and openness to new world all the time. How can Ajay help you? Ajay can help you in many of the test and automation requirements in various platforms. What other say about Ajay? I worked with Ajay on a Labview project at Associated Research on and off for a year. He was very professional, produced results quickly and was a pleasure to work with. He would meet with me at all hours to fit my schedule.I would recommend Ajay for a programming project. 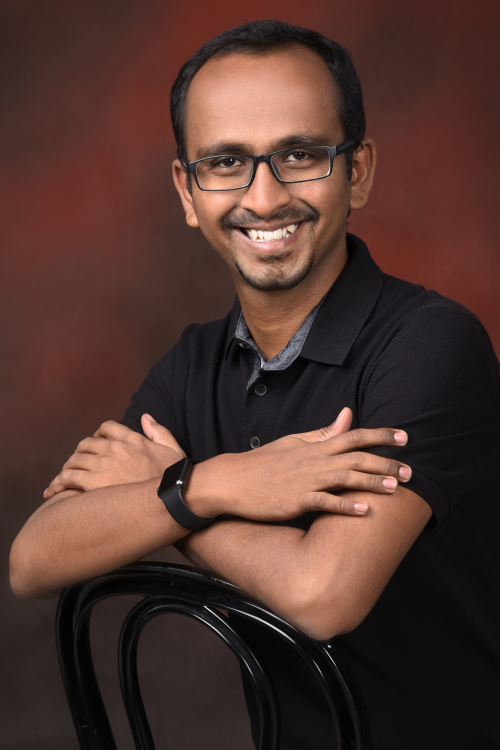 I had the pleasure to work with Ajayvignesh, besides being a LabVIEW expert, he is also a careful and methodical project leader. Very warm and friendly person, we entered immediately in tune. I recommend Ajayvignesh as LabVIEW Architect. What do Ajay write about? Whom Ajay have worked with? You may have some thoughts to discuss with Ajay to get some of your doubts clarified, or to start a work with him or simply to say a Hi to him. Ajay is just a click away.